Here's one reason it's a demanding port. 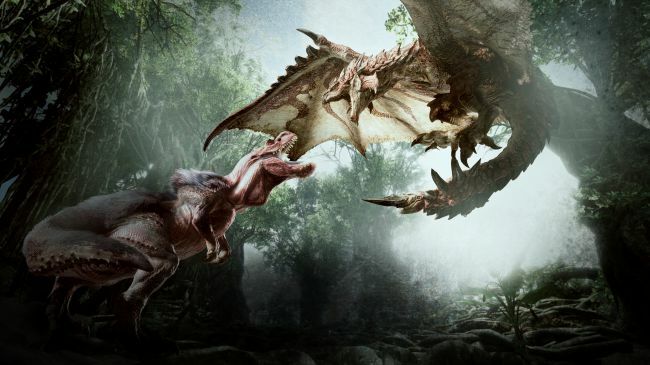 We've been testing out the PC version of Monster Hunter: World on a variety of systems to see how it handles and the overall impression has been that it's a demanding port, but one that's loaded with graphics options. Over on the Resetera forums, in a thread rounding up previews and impressions of the port, Capcom USA's vice president of digital platforms and marketing William Yagi-Bacon weighed in to explain why it's so demanding on the CPU in particular. "To eliminate interstitial loading during active gameplay, MHW loads the entire level into memory. In addition to managing assets loaded into memory, it keeps track of monster interactions, health status, environment/object changes, manages LOD & object culling, calculates collision detection and physics simulation, and tons of other background telemetry stuff that you don't see yet requires CPU cycle. This is in addition to supporting any GPU rendering tasks. "While the MT Framework engine has been around for ages, it does a good job in distributing CPU cycles and load-balancing tasks across all available cores and threads. The engine itself is optimized for x86 CPU instruction set, is highly scalable, and loosely speaking, is platform agnostic regardless of PC or console platform so as long as it conforms to the x86 instruction set." Monster Hunter: World comes out on PC on August 9.